Taught by globally renowned industry expert, Dr. Jeffrey S. Plotkin, featuring regional guest speakers, new pre-learning online module and one month premium subscription to Chemical Week Magazine (open to new subscribers only). Gain the critical information and insights on industry fundamentals, changing feedstock slates, process technology, market dynamics, and profitability drivers – to help you make informed business decisions. This course is designed for both technical and non-technical industry participants, new to the industry as well as those that desire a refresher course. Attendees represent a wide range of job functions and industries. 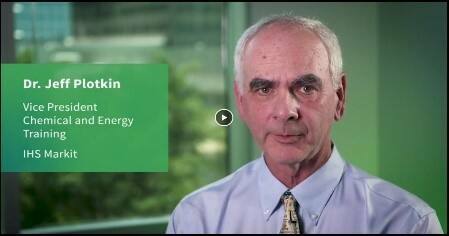 Improve your knowledge of petrochemicals with Dr. Jeff Plotkin's course. "18" CPE credits available. For questions or more information, please contact us.